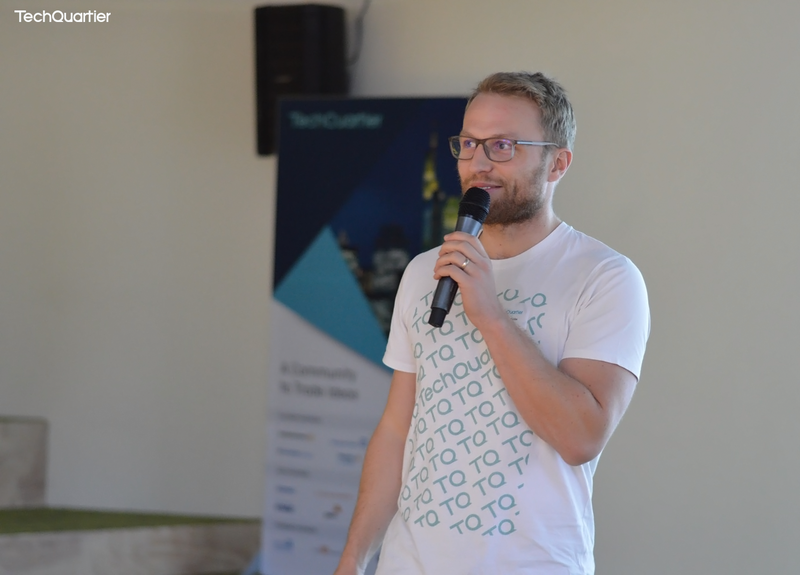 The New Year certainly marked the beginning of a new chapter for TechQuartier. Over the past three months, we have been redefining our identity and aligning our incentives through the implementation of a new managerial system: Objective and Key Results. We sat down with TQ Co-Director Thomas Funke to discuss the ‘how’, ‘what’ and ‘why’s. Thomas, when did you and Sebastian first discuss the topic of OKRs? As an Entrepreneurship teacher, I’m assuming you’ve known about them since their conception. The first time I heard of OKRs was when Friedhelm Schmitt from Fincite gave a university talk back in the summer of 2017. They were one of the first to apply OKRs and reported extraordinary growth following their implementation. Friedhelm really sold the idea, describing them as a one-stop solution for growth problems. He even credited the implementation of OKRs as one of the major contributions to his success. We were immediately attracted to the holistic approach to managing a company. What other examples of managerial systems exist? There are the classic systems such as KPIs or 5-year strategic roadmaps, but this was simply not feasible for us: How could we follow a 5-year plan, when we struggle to even look one year ahead? I attended a very insightful workshop by Murakamy, where it was suggested we focus on periods of three months. He compared running a business to a group trip to southern France: Everyone has different expectations of the trip. Some imagine the Alps whilst others have their sights set on the coast. Problems arise when you fail to define exactly where you’re going and fail to approach the journey step by step. Defining the purpose of your trip is essential and that is precisely what we have been working on. So, the destination of southern France represents your long-term vision, which you then break down into short-term plans of three months? Exactly. What makes OKRs so appealing is that they allow you to establish realistic, achievable goals within three months. By having three different levels of OKRs, i.e. the company goals, the team goals and the individual goals, everyone feels personally involved in the process. What is unusual is that only 60% percent of those goals are set by management whilst 40% are defined by the team. I’m confident this will alleviate some of the frustrations derived from not knowing whether one is doing that right thing. You still waited a year and a half before implementing OKRs — It seems the need for a structured plan only became apparent when you scaled? Yes. When we first heard about OKRs we were only 5 people. I think we probably benefitted from not having the system in the beginning, as we needed to find our place in the market. Back then, communication was spontaneous and everyone was aligned, so we did not see the necessity for it. As we expanded, this alignment became more and more difficult to achieve and we lost a lot of efficiency. Two people would end up working on the same task, and the common goal was lost. Eventually, we reached a tipping point: Either we would continue as we were and people would leave us out of frustration, or we would build a system that actually worked. Ultimately, we want to create a great company culture, where people enjoy working for TechQuartier and identify with the values and beliefs it represents. For this reason, we are constantly reiterating our purpose. Would you say that OKRs represent a more democratic system? I wouldn’t compare it to a political system. It’s empowering, because everyone knows exactly what they should be working on for the next three months. And more importantly, they know why. What happens if you want to work towards a long-term goal that is simply not achievable in three months? Assess it and break it down. Let’s say you’d like to establish an international smoothie franchise. Your long-term vision is to contribute towards creating a healthier society, to help cure people of their health problems etc. Rather than imagining all the ambitious milestones you would like to achieve over the course of 5 years, you start by saying ‘in three-months-time I will have opened my first store’. No matter how grand the vision, you always break it down into steps that are achievable within three months. This is what we have been working on at TQ. Can one assume that all these rapidly growing start-ups are relying on an established organisational system? Yes, 100%. We conducted a series of interviews with 11 scale-ups in Germany, and all of them confirmed that they were using some kind of organisational system, although not necessarily OKR’s. Blinkist, for example, uses holacracy, a system that focuses on circles and flat-hierarchies. Fincite has a funnel structure, whilst N26 has a matrix organisation. Ultimately, there are so many different organisational structures, and everyone does it differently. Did these interviews reveal any interesting trends? Yes. Frequently, one of the Co-founders will direct a vast amount of their attention towards the development of the organisation. Take Minna technologies, for example: Despite having secured funding and ample demand, they refused to take on any new clients until they had solved their organisational issues. Team members were fighting in meetings and eventually started to resent each other, so they decided to appoint one of the three founders as sole responsible for building the company culture. They started implementing OKRs and resolved their conflicts. But everyone has their own methods for developing company culture. Audibene, for example, dedicates two days a week towards recruiting, focusing on finding the best people in order to develop their team. Would you say OKRs are a fad or do you think they are here to stay? I think that in this current era of exponential growth, having a flexible system is crucial. In the past, it was possible to scale with one or two-year plans, relying on heavy sales. But Sebastian and I came to the conclusion that we needed OKRs, or at least some kind of system that promotes alignment. There are, of course, a lot of misconceptions about OKRs, and people see them as a type of goal system through which you are being monitored. This isn’t the case. But surely there is some kind of accountability involved? Sure, but it’s more about transparency than accountability. Not only does each team member know exactly what they should be working on, but they are also aware of their colleague’s responsibilities. This awareness also promotes collaboration, as employees are able to recognise for which tasks they may be of help to their co-workers. Thanks for your time Thomas. I’m excited to see all we can achieve over the coming months.